Join us as we take an in-depth look at the 10 best true wireless ear-buds available in 2019. 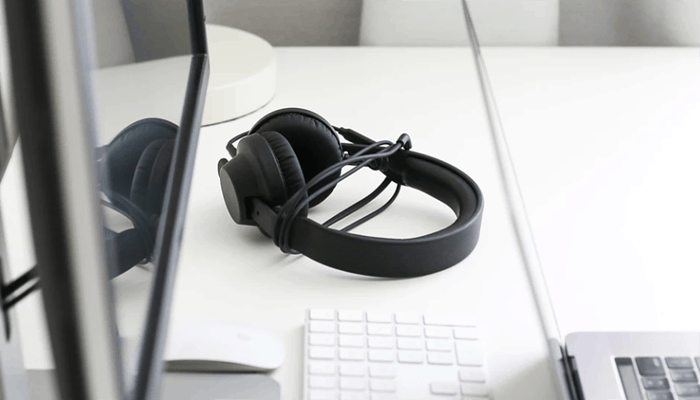 If you are opting to go wireless for its obvious convenience and liberating lack of wires, then why not fully commit to it and check out some of the new buds on the block. They offer the most compact audio solution on the market and serve up some mod-cons which make them all the more accessible, and ideal for those on the go with busy lifestyles. 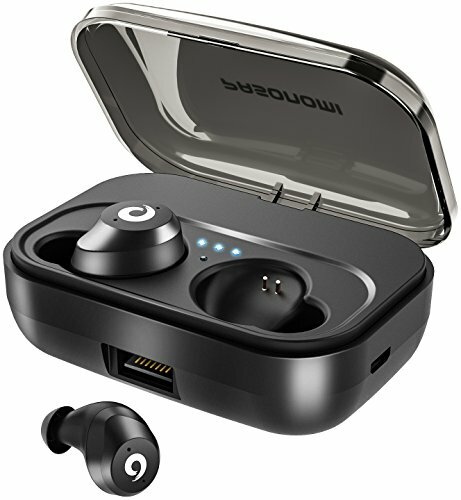 What To Look For When Buying True Wireless Earbuds? 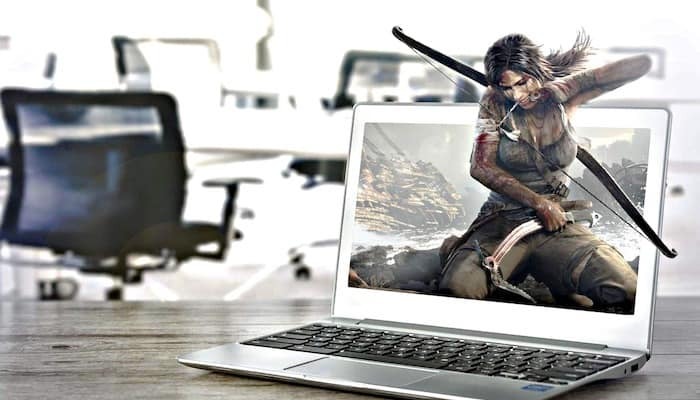 There are a whole host of true wireless options as their innovative functionality and tiny-size was noticed by the competition who were quick to jump on the band wagon. Todays wireless really is the future and today's true wireless earbud market is pretty saturated already, so we have hand selected some of the best for your perusal. Charge on the go for up to 15 hours use. Range of tips and wings to choose from. First off we have this fantastic pair, which feature slightly larger driver containment, which makes them less likely to get misplaced. They are also able to house slightly larger aperture drivers within their confines for, ultimately, better bass handling in an earbud option. They are very well manufactured from quality components. They sit very comfortably in place over the ear canal so that the audio streams within. 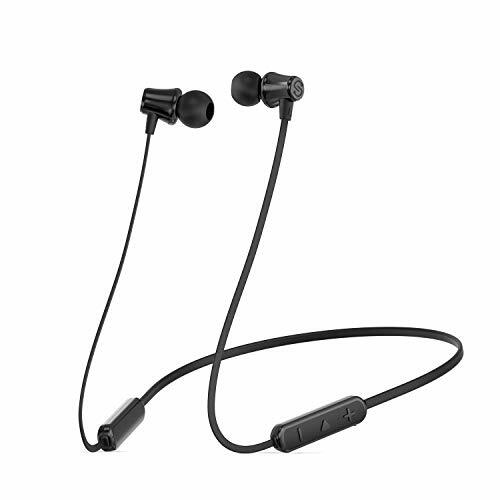 They are donned with up to date Bluetooth connectivity and feature an integrated microphone which has been engineered to provide some of the best voice handling around, as have the drivers. They are both fine-tuned and tailored to keep vocalization within audio very well defined. They are directly Alexa compatible (if used with the right devices) and otherwise can be used for voice commands similar assistants. 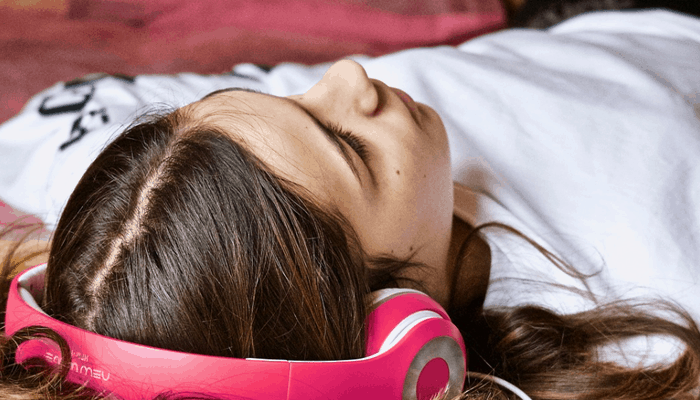 They come with access to an exclusive iOS App which gives users the license to fully customize their music profile and listening preferences as well as keep track of charges and set assistant preferences etc. They provide 5 hours streaming per charge but their portable carry case (which doubles as a charging dock) carries enough juice for 15 hours out-and-about. Why We Liked It - They produce very crisp detail and the microphone is very impressive. 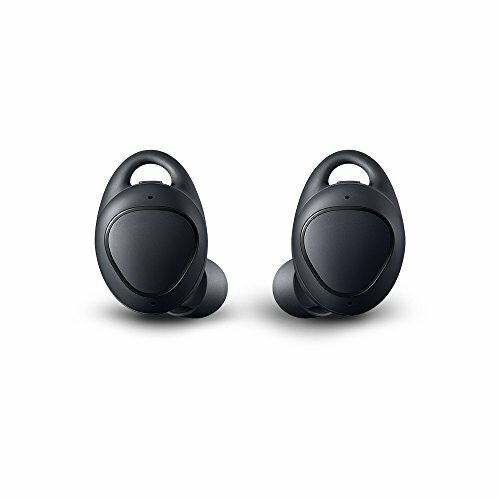 This next set by Samsung are somewhat more compact and the design of the bud incorporates a soft silicone semicircular wing tip to mold to your auricle and help keep it locked in a prime listening position. It comes generously with 3 different sized tips, and wing options to provide a tailored fit. They are exceptionally constructed and the quality of the materials used internally and externally are top-class. The drivers within are very capable and have an accurate frequency response so you'll never miss a beat. They deliver powerful audio with a broad stereo blend, that is well balanced and beautifully defined. The IconX model is the companies proprietary sports earbud and features some nifty mod-cons which can help keep track of your calorie burning, time, pace, and distance with their built-in activity tracker. They feature intuitive sensor controls which allow you to tap and swipe or voice command via the high-quality integrated microphone. They connect to Gear Wireless App-assistance, have an onboard allowance of 4Gb to store your MP3s, and can wirelessly transfer, though for large files it would be wiser to use their USB connectivity. The Bluetooth is stable and current, they come in 3 colors and they have a storage case that doubles as a recharge station which provides an hour of playback for every ten minutes. Why We Liked It - They offer some impressive mod-cons, we like the App, and the activity tracker is an awesome touch for all you athletic types out there. 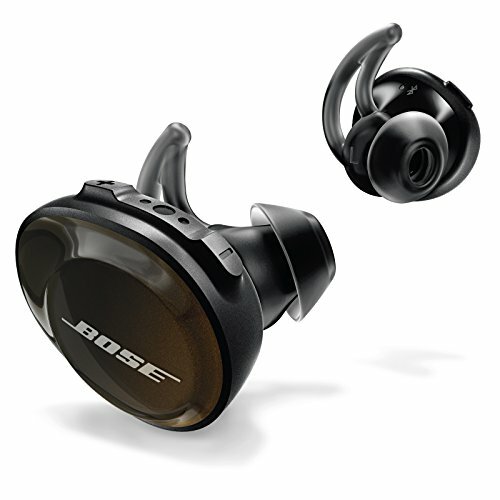 Another sports model well worth a look in is this SoundSport Free set from the big boys at Bose. They are another high-end pair with a lot of promise. The audio is on par with some of the brands over-ear options, and the retail costs they rack up is more than justifiable, given just how good the sound streaming actually is. 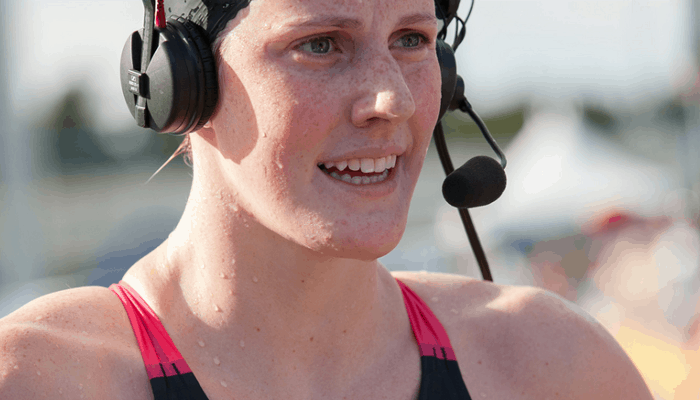 They provide a secure connection which is effortless to pair and their dual microphone array is top-notch as far as we are concerned. They are exceedingly well-constructed and incredibly easy to operate. They are zero-latency and work in real-time synchronized with video images on your mobile. 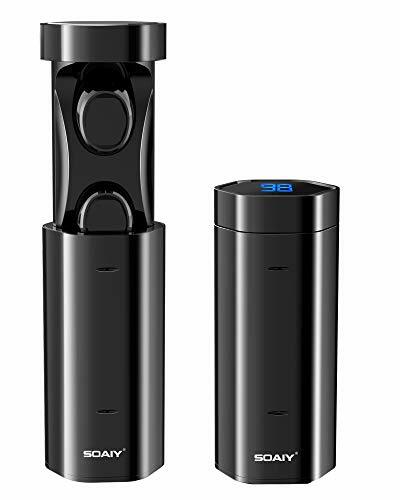 They capably provide 5 hours with their innovative case storing 2 extra full charges, serving up 15 uninterrupted hours of use cumulatively before the case needs a refill. They are equipped with the Bose's proprietary StayHere tips (that we have highlighted before) which provide additional support within the ear-auricle giving users more freedom of motion. They are made from high-grade softened silicone and are comfortable for long periods and IPX-4 certified making them very sweat resistant. They sit ergonomically in the ear and stay in place throughout the toughest of workout routines. Three different sized tips are included to give you a few to choose from. They come with access to the Bose Connect app to help you manage Bluetooth connections, switch between devices and personalize settings. The App also has a 'Find My Buds' smart feature which remembers where your buds were last in use and can help you track them it can even provide a loud audio signal for you to listen out for. 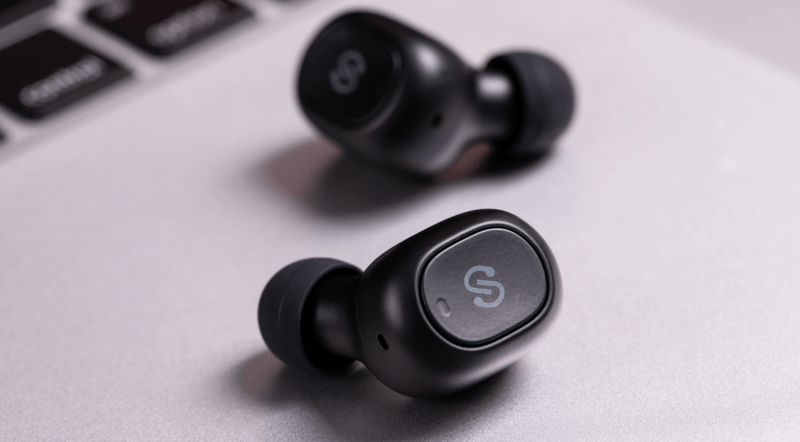 Why We Liked It - They are an idyllic representation of exactly what you want to look for in a pair of true wireless earbuds, the price may be off-putting or even unattainable for some but they really set the bar in our eyes. We also think the App assistance tracking is sheer genius. 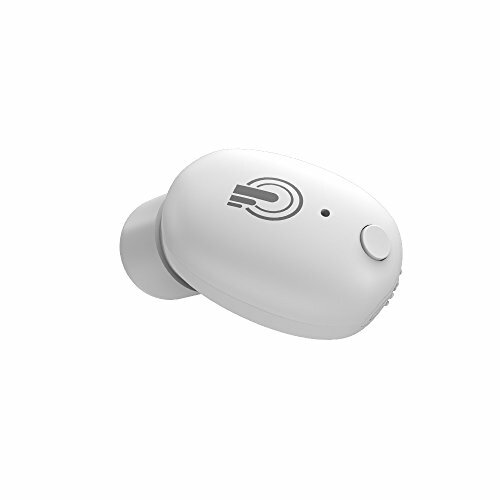 Now what we have here is another ergonomically designed set of true wireless earbuds which have a very compact size and are sufficiently lightweight enough to stay efficiently in place without a locking support system of any kind. They are also priced a lot more accessibly than some of the premium sets we have highlighted. The Audio quality isn't quite as delectable as the sets over one hundred dollars, but that is to be expected in true wireless sets under $100, it is, however, full-range and very well balanced, though we think the dynamics are a little subtle and the trebles less defined. As fifty dollar set go through, they perform surprisingly well, surpassing many in their class. The bass has great resolution, a good overall presence, and the mic is adequate for voice call handling. wThey are newly upgraded to provide a current Bluetooth connection, which pairs instantaneously. they stream well and provide around 3 hours between charging, and of course, as with other designs the storage case stores spare charges for your buds and your mobile. They are IPX-7 certified making them very water resistant and ideal for outdoor travel. Why We Liked It - It is an accessibly priced alternative which manages to provide plenty of noteworthy properties for a smaller investment. Here we have an even smaller choice, a lovely discreet set of light-weight true wireless earbuds which have rechargeable storage to match. They are one of the most compact designs on the market and they are made very durably. They feature a cutting-edge moving ring speaker unit with hard-working, highly responsive drivers that deliver powerful sound despite their tiny stature. The balance is very fairly distributed and the dynamics distinguishable. Voice is especially clear as the trebles cut through the mix well. The tips sit within the ear canal and are ergonomically designed to stay put and allow for good freedom of movement. The miniature case features magnets to keep the buds in place and charge them as you go. With the case fully charged they store up to 3 full charges, so are capable of providing up to 15 hours away from an outlet. The Bluetooth onboard is 5.0 and pairs with ease. 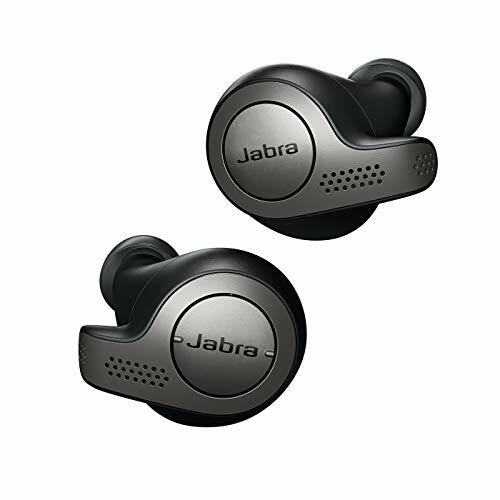 They have noise canceling signal isolation properties which help keep voice calls free of any interference. Why We Liked It - They are a seriously compact option, we like the magnets which help keep the charging connections together as you walk. The audio is very immersive and multi-dimensional thanks to the fab ring-driven speakers. This mini model from FOCUSPOWER is another great discreet true wireless option. It is low priced and has a tiny USB dock to clip to and charge from any USB connection, thanks to their magnetic induction charging. It provides 6 hours of seamless streaming over a stable, easy to pair connection for uninterrupted listening. It is ergonomically designed to provide a secure fit. The driver is ample and delivers full-range audio. It is shelled with a smooth plastic, which helps keep the price tag reasonable. The mic is great quality and the hands-free has zero interference. Why We Liked It - They are a great conferencing tool and allow wearers to listen in stereo with one ear free at all times. 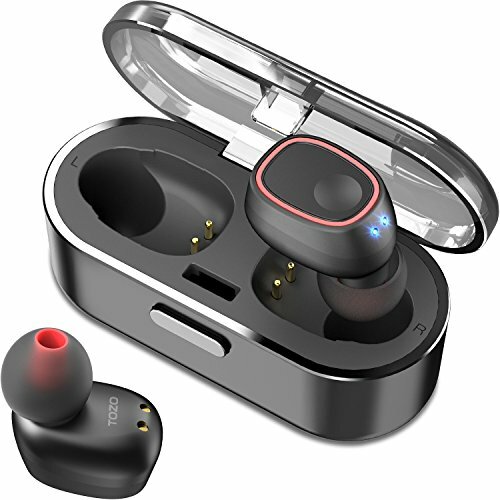 Another great miniature choice to opt for, which is far lower priced than our opening set could be this T8 model from TOZO which provides hassle-free listening in the form of two tiny true wireless earbuds. They feature rig drivers which perform very capable, the sound is very well balanced the bass and treble have a harmonious relationship but the dynamics between them are diverse. We are especially impressed with how clear the mid-range is with these guys. The ear-caps are made with a safe silicone gel which better conforms to the ear canal, as it has far more flexibility than plain silicone. They offer up 3 different sized spherical ear-caps to cater for all ears, the largest of which is able to enhance bass, as well as reduce background noise. Their mini-case takes around 2 hours to fully charge, and once it has it capably stores enough power for 3 recharges (8 hours). Why We Liked It - They are priced around the 30 dollar mark, they serve up hi-fi sound and utilize a very comfortable gel. The only thing you have to really compensate on is the battery life, which isn’t comparably as long as some. Next we have another tiny earbud option which are so small that the manufacturers thoughtfully corded them together. The function means that they can be worn as a necklace when not in use as the backs of the earbuds themselves are magnetically attracted and snap securely to one another. They are also composed of fairly water-resistant materials and so are fine to wear for a workout or jogging. They are competitively priced at the lower end and serve up decent stereo audio with a broad responsive range and good equalization between the opposite ends of the spectrum. The earbud tips are flexibly comfortable and expand a little to help them stay in your ears. They provide a range of tip sizes to help users choose the best fit. 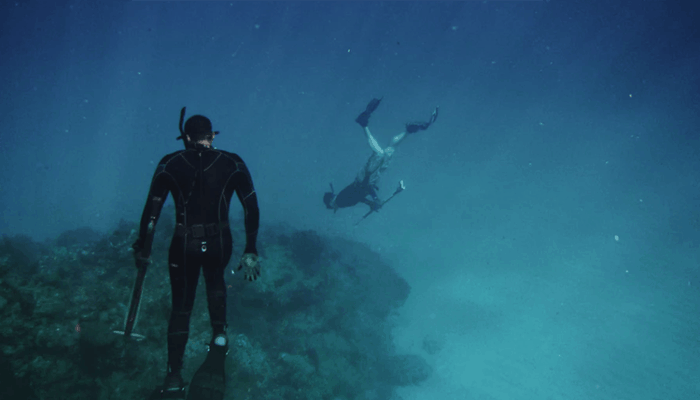 They stream reliably at a distance of 33 feet and provide 8 hours listening for every 1.5 hours charging. They have great ANC capabilities on-board, so will keep your call handling free of background noise. + Magnetic neck collar option. Why We Liked It - They are a fantastic travel option as they stay about your person conveniently. Next, we have a set with a very robustly built and unique charging capsule. They keep the earbuds safely inside and charge them as you go. The patented case displays the remaining charge digitally with a blue LED count-down so you know when to give it a refill. The case stores 3 charges, but they only total 3 hours use, which is a little on the low side in comparison to some we have already reviewed. The buds are T shaped and ergonomically designed based on the companies proprietary human engineering mechanics. They sit halfway in the ear supported by your ear canal structure with 3 points of contact keeping them tightly in place. They are very lightweight design and come with super fine silicon caps which are comfortable for long periods and keep them put during sports. They pair easily and can be set to 2 different devices simultaneously, and they can also be separately charged. You can split the two and listen with a friend, or you can use them one at a time. They operate via a simple series of left and right combined intuitive taps. 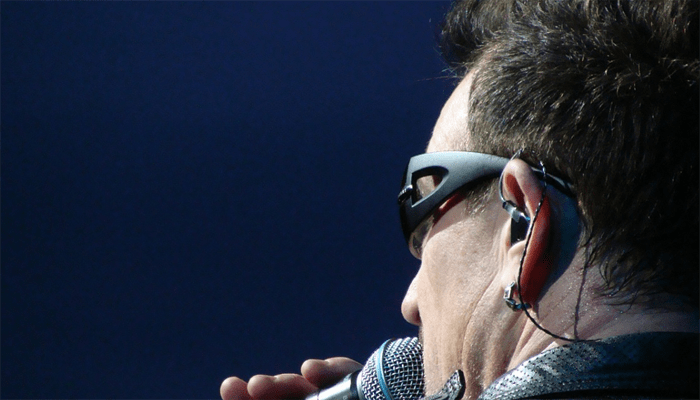 They have a great integrated microphone and work stably at a long distance. 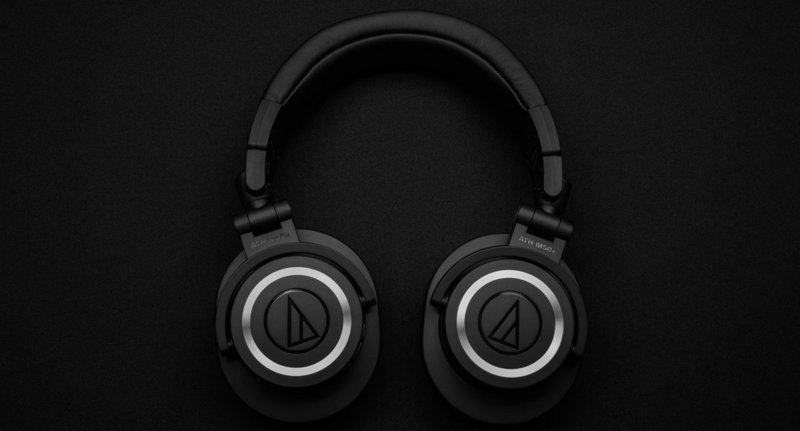 The drivers are impressive, they employ large surface graphite vibratory diaphragms which respond well and deliver full-range hi-fi quality audio. + Buds can be shared. Why We Liked It - They are a great set, and they are quite conservatively priced for the level of quality. The display information is a handy tool they have managed to incorporate and is especially useful as they have a slightly lower battery life than some. 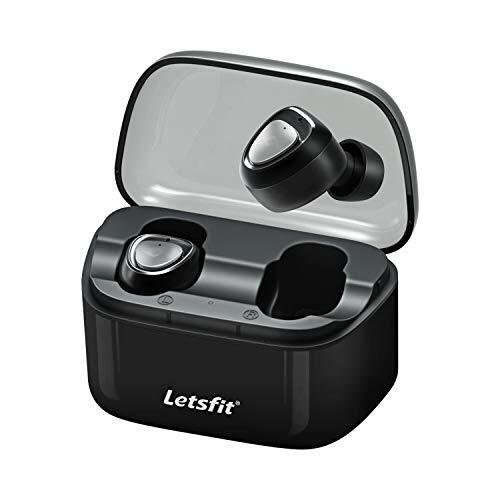 We are leaving you with one final reasonably priced high-fidelity pair which tick a few boxes when it comes to the best true wireless earbuds. They are genuinely well-made and ergonomically angled with a minimalist design that keeps them snugly in your auricle. They come with 3 different size options as far as the tips are concerned to provide the ultimate level of comfort for longer use. The drivers make good use of the compact space available to serve up high-quality audio which is very well-balanced with dynamics in the mix. They can be used in stereo or mono mode, so can be split with a friend. They are foolproof to pair and operate via a facile one-button function. 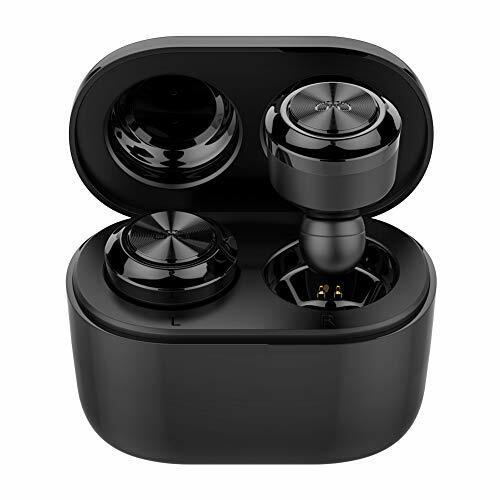 They have stable 5.0 Bluetooth connectivity and provide a reasonably generous 13.5 hours of listening total thanks to their case storage of 10.5 hours, and quick charge facilities. + Comfortable range of tips. + Stereo v mono options. Why We Liked It - They are a reasonably priced set which boast higher end functions, they have a generous battery life and are suitably compact for traveling with. When it comes for what to look for in a great true wireless set of headphones you should keep it simple. Their main advantages other than their obvious wireless connectivity include their smaller stature, easy functionality, hassle-free hands-free, and the convenience of charging whilst you are away from an outlet. They don't differ too heavily from one-another so we have kept our guide concise with a few critical points not to be glossed over, everything else is just a bonus. An up to date Bluetooth connection is your first priority, for obvious compatibility reasons. Battery life inclusive of storage case assistance is also of key concern. It is important that the power transfers quickly from one to the other, or it essentially no longer an added convenience. Comfort is paramount as well, though many are ergonomically designed it might take a while to find your preferred style, many have innovative ways of staying in place and sitting comfortably in your ear, lowering SPL for safe listening, etc, so it might be wise to try a few sets on for size. If you are particularly active you would be wise to find a sports model and think about sweat resistance and indeed weather resistance if you enjoy outdoor physical activities. 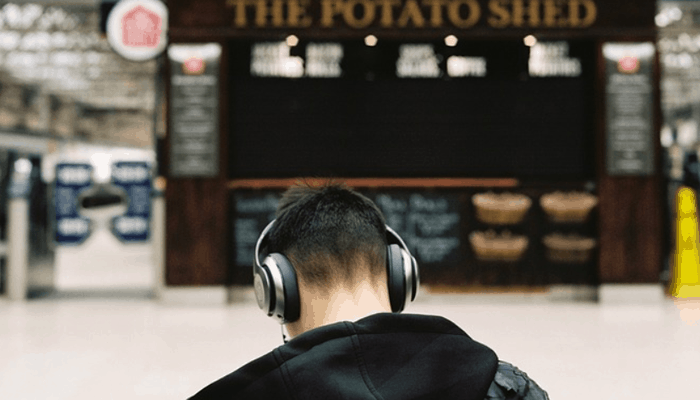 Of course, the audio quality should be vital to you as well though it is advisable to remember that a set of earbuds aren't typically a fair match for most over-ear headphone options. Sometimes with smaller electronics come bigger limitations, this is especially true when it comes to speaker capabilities, though there are many companies who have honed their skills in miniature transducer tech. Impressive audio in true wireless models can often come with a heavier investment but if you are listening for a natural sounding, full-range high-def balanced dynamic audio then you may want to save for a superior sounding set. Driver development has taken a real turn in recent years but with the tech being relatively new to the industry, keeping the advanced components cost effective is no easy feat without sacrificing the full potential overall of the audio produced. 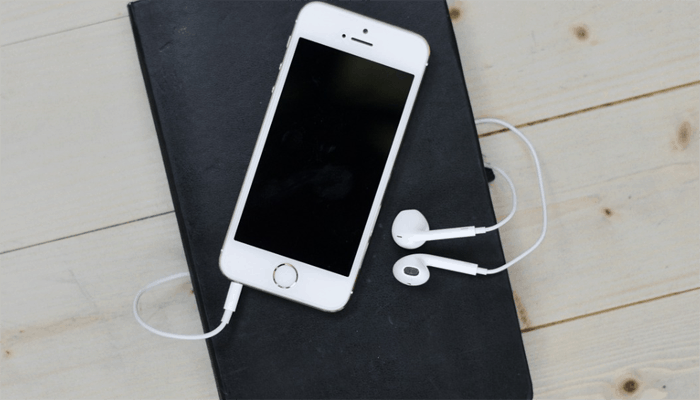 App assistance is a nice addition and can help supplement the audio produced with personalization and will make pairing processes idiot-proof. Some of the products we have shown you today have creative app functions such as the sports model which keeps track of calories and laps for you, or the pair that have a homing beacon to help ensure they never get lost. These are lovely touches but shouldn't be your first port of call. If you want a set of wireless headphones for the many modern conveniences they offer, you may as well opt for a true wireless set. Their compact nature is maximized, their battery life extended by the utility of their cases innovative designs and capabilities. This kind of technology is a no-brain evolution allowing us to go about our busy lives and spend longer away from outlets and also empowering us to carry a charge for our mobiles themselves or other devices, making them far more versatile. The audio capabilities are getting better as the speaker driver methods are co-evolving alongside product development. Wireless truly is the future, so why not take the first step with true wireless audio headphones. When it comes to true wireless options you should seriously consider spending a reasonable sum of money as the audio capabilities in a tiny set of earbuds isn’t all that impressive without exceptional engineering.